Make your own Christmas monogram for the holiday season. The Christmas monograms can be used as stickers, on Christmas gifts, writing paper or note cards. 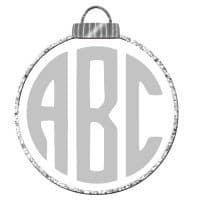 You can also create monogrammed Christmas ornaments for a fraction of the cost by adhering these Christmas monograms to a plain ornament. 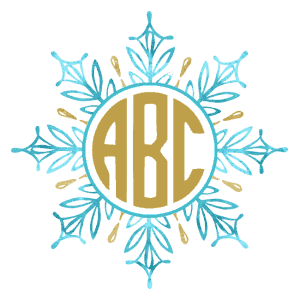 You can change the snowflake template and the colors. These are just samples of the designs available. 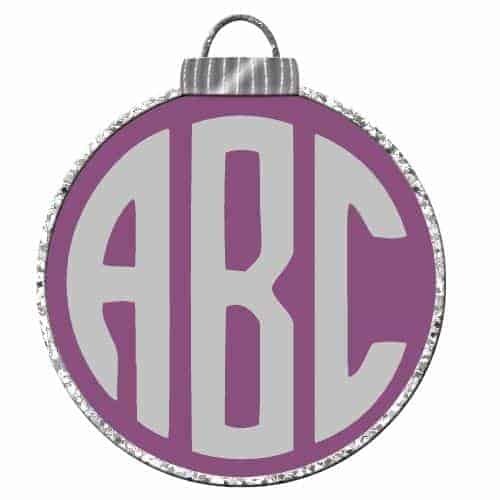 Scroll to the top of the page to choose the monogram that you want to use to create the gift tag. 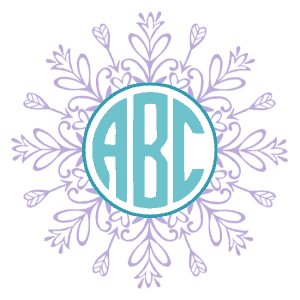 Customize the initials by opening the monogram maker. Punch a hole in the ring on the top. 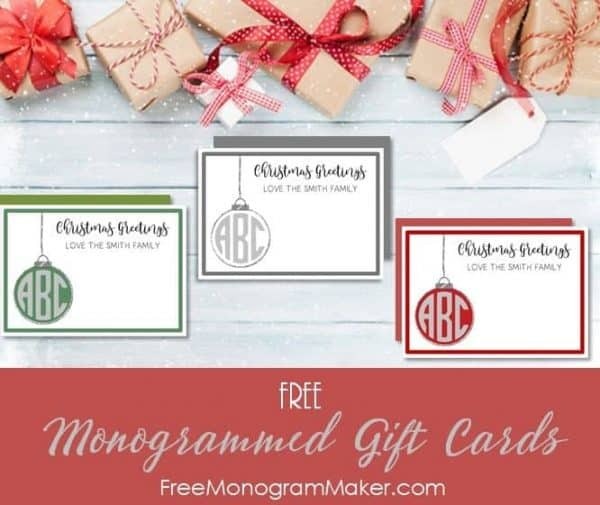 Write a message on the back of the gift card. 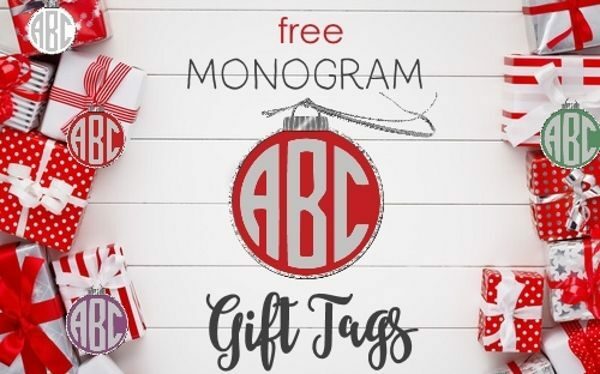 Connect to the gift with string or a ribbon. 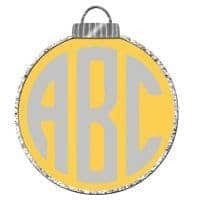 How to Create Monogrammed Christmas Gifts? 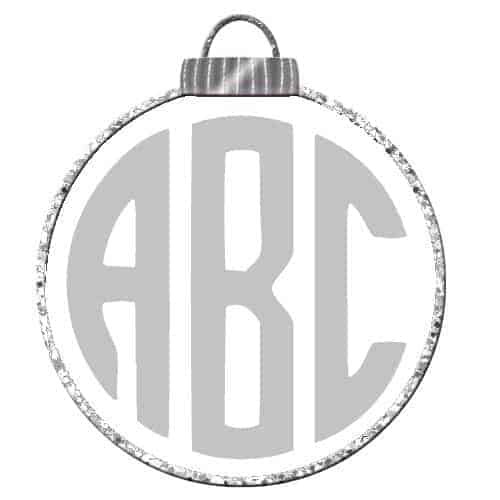 Firstly, select the Christmas monogram that you want to create and personalize it with our free monogram maker. 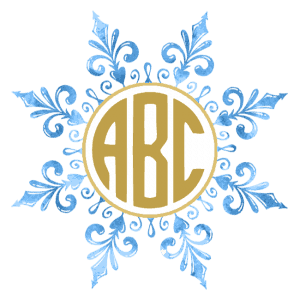 Download the file as an image (png). 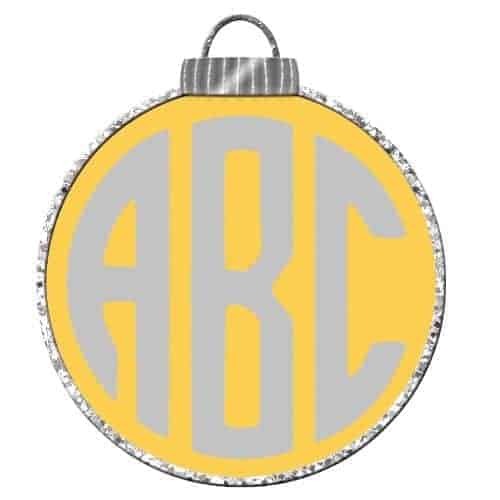 Print the monogram on a label with adhesive. If you can’t use a label you can print on regular paper and use a glue stick to adhere the label. It will stick to most products. 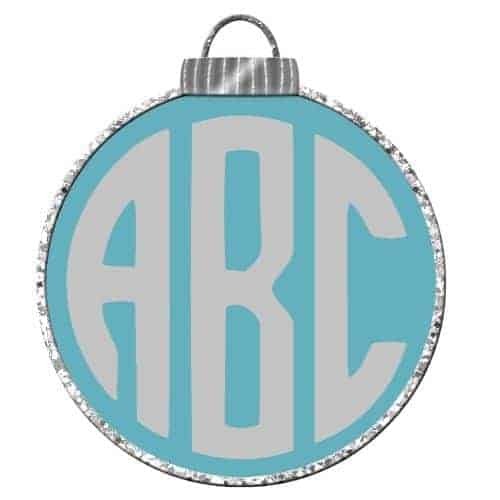 If the gift that you want to monogram is glass or plastic then you might want to use a plastic label or sticker. If not, a paper sticker will work in most cases. To personalize a product that will get wet (such as a bottle of wine or soap) then you should use a water-resistant label. 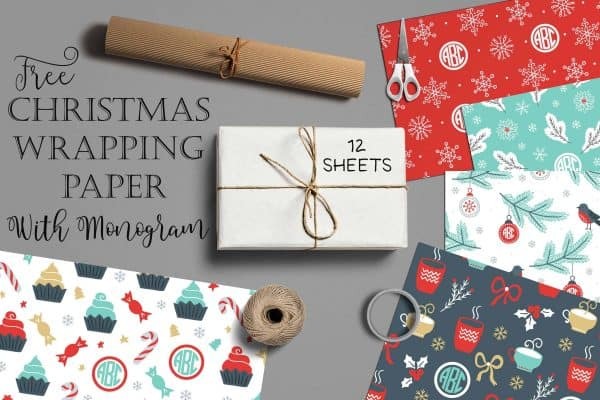 If you want to personalize fabric (such as an item of clothing or stockings (to create monogrammed Christmas stockings) then you can print on paper that can be ironed on fabric (iron-on transfer). There are many kinds available.